Technology has changed things for every industry under the sun, of course, but the healthcare industry is one that affects us all. Here, we’ll focus on just a few of the key ways that advances in technology have benefitted healthcare. Social Media - The healthcare sector has integrated comfortably with most modern social media platforms, which allows the public not only a more direct platform to reach out but opens up the industry to a wider audience. This means more young people can learn valuable and potentially life-saving information and have a direct way to contact professionals if they have more specific questions. The fact that social media allows for patients to leave feedback also makes it easier for other patients to narrow down the doctors or facilities they might want to use. On the Move - For healthcare workers who work remotely, moving from home to home, clinic to clinic and patent to patient, the advent of connected devices had made case management that much more efficient. 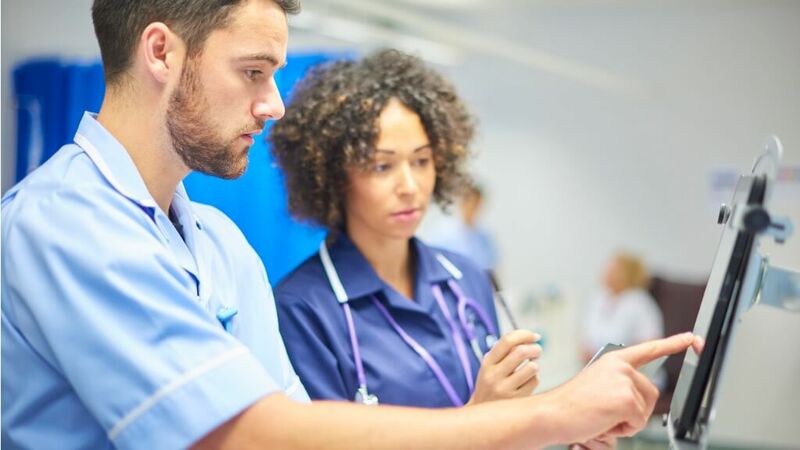 Most modern healthcare professionals will be equipped with a smart device and a case management system that provides all the information required, wherever you might be. It will also seamlessly integrate with other aspects of the larger system, so a health or social care professional is out visiting patients, they can spend less time focusing on the logistics, and more time focusing on the patients themselves. Better and Faster - More advanced equipment means more comprehensive care and dramatic quality of life improvements in long-term patients who might otherwise have been left to suffer. Technology has also significantly increased the medical research field, with many modern procedures only made possible (or at least that much safer) due to some surprisingly recent advancements. Modern medical tech also means that results which used to take weeks to be delivered can now potentially be delivered in hours or even seconds. Many clinics even offer bespoke platforms that allow patients to access their results online, which can be vital for those suffering from anxiety over results. Remote Visits - For those who are unable to travel for one-on-one appointments, there are a number of technologies that allow patients to use connective health resources to remotely check their symptoms and monitor treatments. These in-home monitoring systems can check blood pressure, oxygen levels and more, then send the information directly to a healthcare professional who will monitor the information and make plans accordingly. This allows healthcare providers to step in sooner, rather than later and keeps hospital visits down and patient survival rates up. Information - Finally (and perhaps most crucially) the more connected world has given us all access to so much more healthcare information. This means people are more clued-in than ever before regarding their own health. This is wonderful for those who can use it the way it is intended - as a guide. It’s also great as a means of easing worry and providing easy answers. However, it can also lead to anxiety and hypochondria if used too frequently. So always seek the consultation of a doctor if you’re not 100% sure about a ‘self-diagnosis’.